Bedrock Worms have supplied compost worms to New Zealanders for over 12 years. Need help? Do you have some questions we haven't answered here? Contact me by phone or email. You can place your order by phone or email too if it's easier for you. How do I use compost worms? Still not sure? Contact me - I am happy to help you decide how many worms you need. And I support people who D.I.Y. 250g - $30.00*. Perfect for starting one tray or tyre stack or to boost new garden compost. 500g - $50.00*. 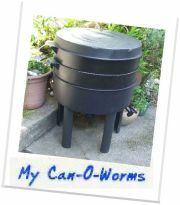 More worms for faster establishment of stackable worm farms or larger worm farms (Worms Around, Crate of Worms etc). *Special "jump-start" kit for Can-O-Worms - Add $5 to above prices. 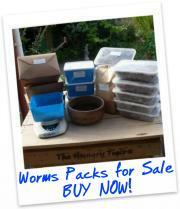 Includes special supplies to complement worm farm and make the bedding better for the worms. 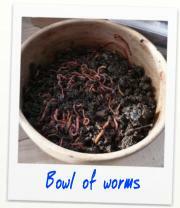 1 kg - $80.00 To start most larger worm farms, (eg bath tubs, crate of worms). Custom Orders prepared for septic tanks, compost toilets, and DIY. Bulk quantities too! Contact us. 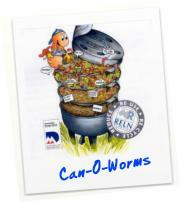 Our Worm Farms are complete with Compost Worms and special supplies to get you recycling fast. 4 sizes, 3 styles. 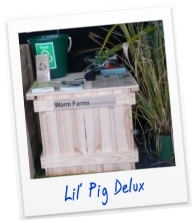 We have a worm farm to fit any budget, lifestyle and recycling goal! 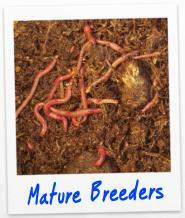 Join our worm club to read a review on worm farms, or call for phone consultation. We support DIY! Can-O-Worms. 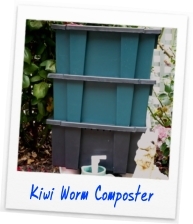 This popular worm farm is a plastic tray-based container that can recycle waste for 1-4 people. Elevated to your working height, with two working trays that are not too heavy, it can be run indoors, and has a tap to easily remove the liquid worm juice for plant and soil conditioning. Odourless. Comes with Compost Worms and additional supplies to jump-start recycling. Great gardener's companion. SORRY - CURRENTLY OUT OF STOCK ! Contact me if you need replacement parts or download an instruction booklet. 100% Kiwi designed and manufactured from recycled plastics. You get two 20cm deep square trays for worms to recycle food scraps and one base tray to collect liquids with tap for easy removal. Has better aeration than any look-alike worm farms, and a worm island in the base. Expansion tray available for more recycling. 42.5cm x 45cm. Easily Recycle nearly ALL your kitchen (organic) waste! Lil' Pig - 200L, 630mm tall. Perfect size for most families. Recycles 15-20 litre food & paper waste per week, plus some paper and garden waste. $230.00 DELUX with clear front viewing panel. 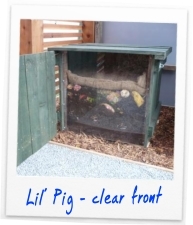 Has hinged and latched front door/wall that reveals a clear Perspex viewing panel to show the worm bed in action. Includes 1kg Tiger Pack, Earth Dust Balance, Worm Blanket & support. The Beast - 2 metres long with three compartments for mid-scale composting. Recycles 45-60 litres/week food scraps with room for more garden waste. Perfect for multi-households, schools, offices and lifestyle blocks. Start one or two compartments with Compost Worms (and grow the rest). 2000 x 580 x 600. $50.00 Delivery and Installation within Christchurch area. 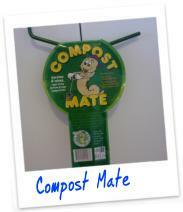 Compost Mate ($28.00) - The tool to add air to compost piles, worm farms and mix-in food wastes. Perfect for tall compost bins - will NOT harm worms. Turns a slow heap into a working compost. My favourite tool! SORRY - CURRENTLY OUT OF STOCK ! Earth Dust Balance ($5.00 for 1.5 kg) - Finely ground granite & limestone which adds nutrients and grit that worms need and helps keep their environment in balance (adjusts pH to prevent acidity). Dust onto your worm farm contents weekly - and give it a good stir while you're at it. Can also be used as soil conditioner. Courier extra. Vermicast or vermicompost (quote on order) - Bulk trailer loads for gardens, greenhouses, orchards, vineyards, and pasture improvement. Makes an excellent seedbed or ingredient in potting mix. Ask for quote as price relates to amount and freighting options. Contact me for analysis from Hills. Talks and training - Garden groups, classrooms, staff functions. Contact me for quote. Service/Consultation - Evaluate, harvest vermicast, and/or fix a problem with your compost or worm farm. Contact me.